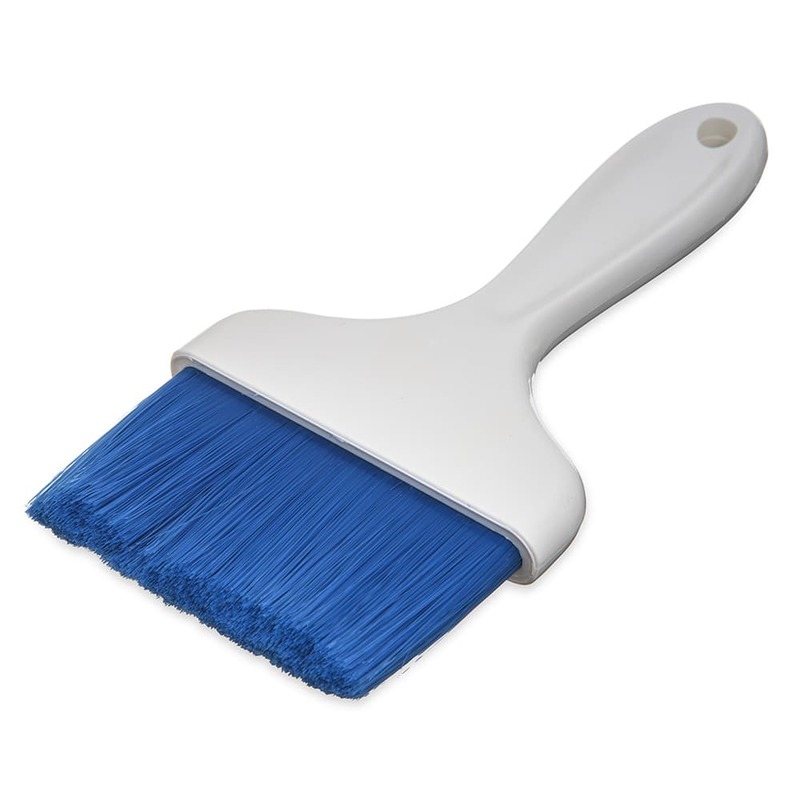 The Carlisle 4039314 Galaxy™ pastry brush has soft, durable bristles made of nylon to retain high amounts of liquid. With their tapered cut and chisel-point trim, the bristles cover a large surface area to brush over the product. 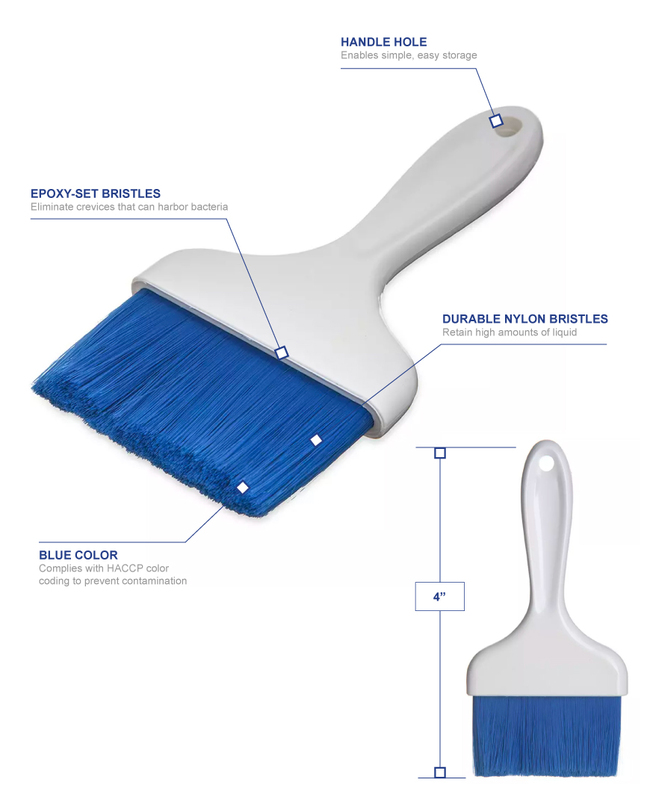 Air pockets that could harbor bacteria are eliminated since the bristles are epoxy-set in ferrules, while the blue color is suitable for HACCP color coding to help prevent contamination. The Carlisle 4039314 Galaxy pastry brush has a smooth, one-piece plastic handle to simplify cleaning, and the hole on the handle’s end provides convenient storage.